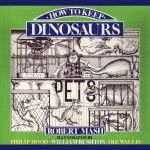 A surreal look at keeping Dinosaurs, written by an Oxford scholar. 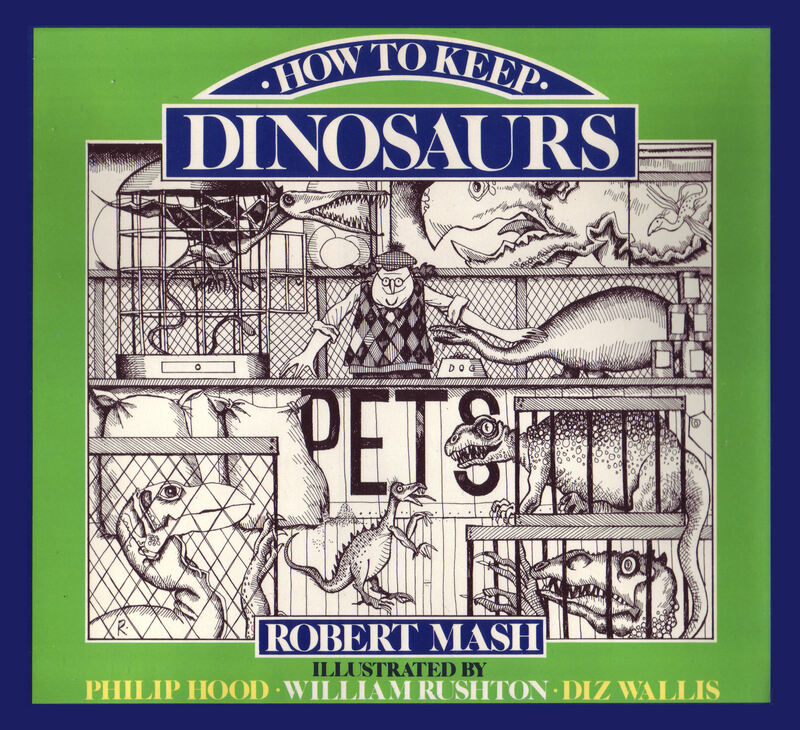 Categories include Dinosaurs as Lap Pets, those suitable for Police Work, for Safari Parks, & Dinosaurs That Are Not Recommended. 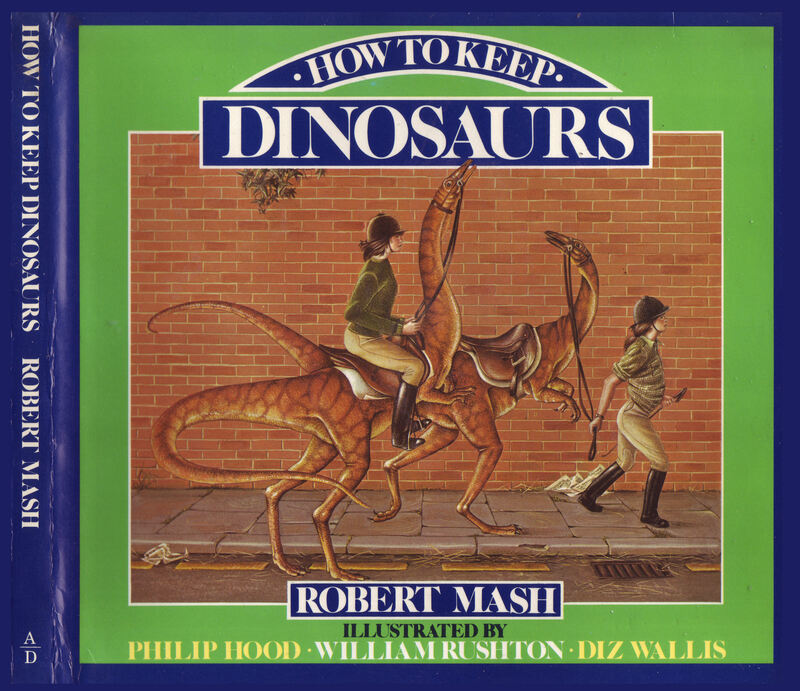 The classification chart at the back lists such details as when & where a Dinosaur was found, its length and diet… Serious illustrations & Willie Rushton’s cartoons. The Parkland Walk Nature Reserve runs through Islington & the neighbouring Borough of Haringey. 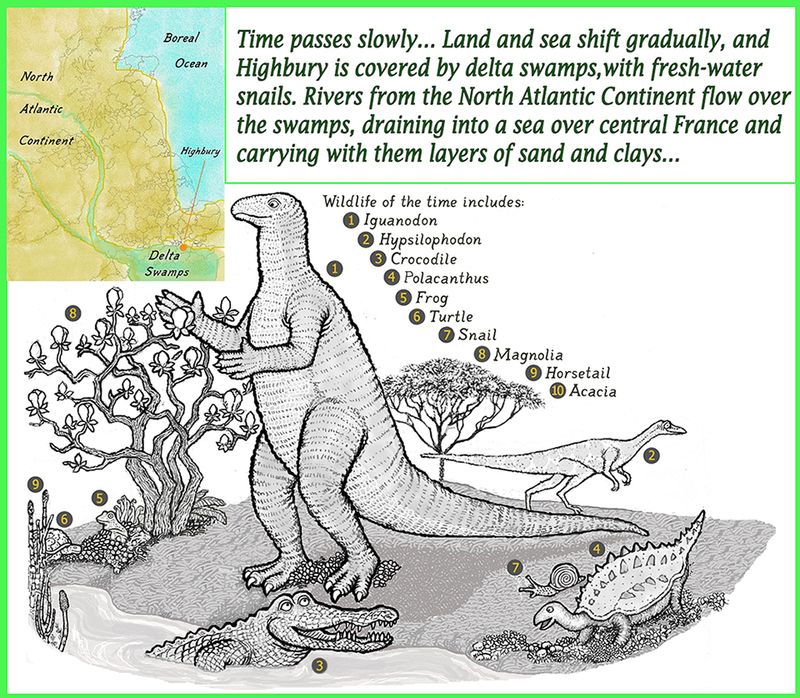 In 1999, palaeontologists from the Natural History Museum dug a trench by the now closed Highgate railway tunnels. 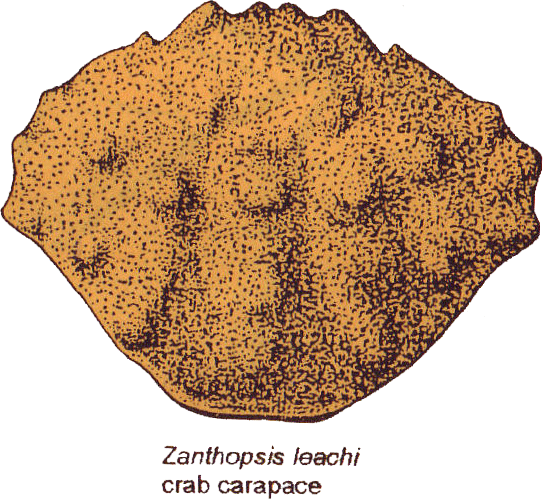 There they found evidence of the time when warm tropical seas, such as The Tethys, covered southeast England. 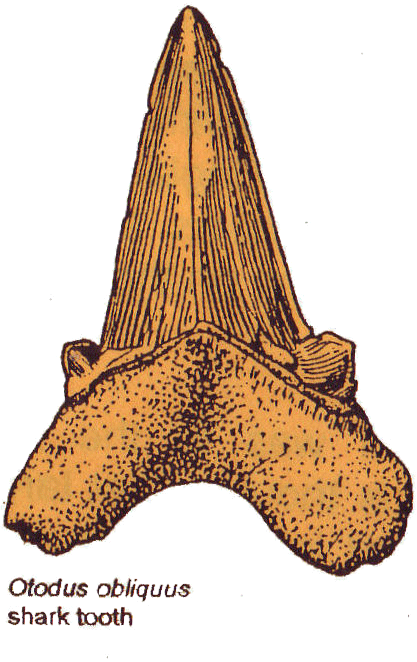 Finds dug out of the ‘London Clay’ included palm & magnolia seeds, as well as fossils of crabs, lobsters, crocodiles & sharks. 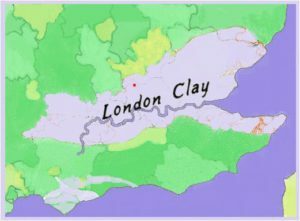 London Clay extends southwards to Kent and westwards to Gloucestershire. 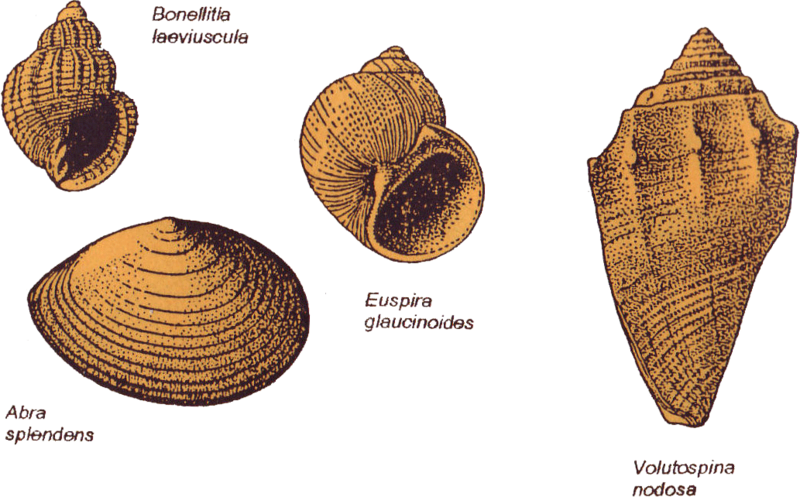 These shell illustrations are from a leaflet put out by the Haringey Parks Service, with the assistance of the Curry Fund of the Geologists’ Association. 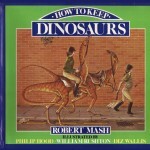 It is available from the Islington Ecology Centre.